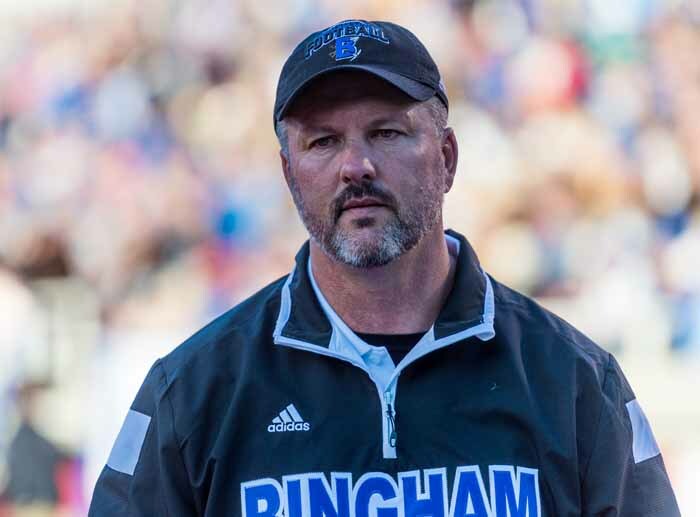 When Dave Peck announced his retirement after 15 years as the head football coach at Bingham High School, he knew he would have one more chance to do what he has done better than any coach in the state during his Miner tenure – put Utah high school football on the map. If the number of stars next to players’ names on recruiting profiles were the primary determining factor in the winning of football games, Bingham might as well have avoided the trip to Florida for the signature game of Saturday’s Burger King State Champions Bowl Series. Its opponent Saturday in Boca Raton is the nation’s third-ranked high school team, Florida’s Booker T. Washington High, and the Tornadoes have Division I recruits all over the field. Then again, if the No. 8-ranked Miners used that as their measuring stick for taking games, they never would have made the trip to Las Vegas earlier this season to take on No. 1 Bishop Gorman or traveled to Colorado in 2013 for a visit to Valor Christian. Peck and his charges take on all comers at any time, and they don’t back down. Peck takes a group of Utah players to Las Vegas every year for a big 7-on-7 tournament and he takes pride that the kids from the state are always in the top four at that event. 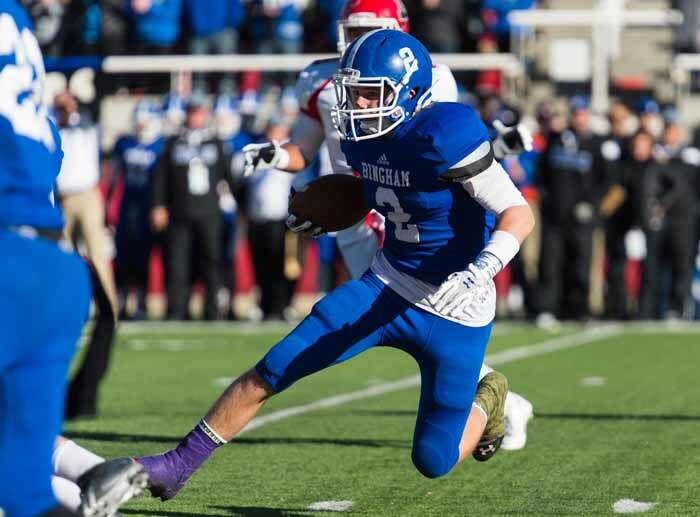 As for Bingham, it won that game at Valor Christian in overtime and took Bishop Gorman to overtime before falling 23-20. Maybe the lack of respect from the D-1 schools is part of what fuels the Miners, who seem to have a lot fewer national recruits than their record would seem to warrant. Or, perhaps it is just something inside these kids, but they have always been up to the challenge. And that experience should come into play in a big way when the Miners take the field at 8 p.m. (6 p.m. Mountain time) Saturday night at Florida Atlantic University in a game that will be broadcast live on ESPNU. Make no mistake, Booker T. Washington is an extremely talented team. Led by 5-foot-10, 160-pound quarterback Maurice Alexander, who has committed to Florida International, and 5-10, 180-pound University of Miami-bound running back Mark Walton, the Tornadoes are fast and dynamic on the offensive side of the ball. They also have one of the Top 100 national recruits in Devonaire Clarington, a 6-foot-6, 230-pound tight end who can almost pick his college from a list of the top programs across the country. With a defense that features college-bound stars including linebacker James King, along with defensive backs Terry Jefferson, Ocie Rose, DeVante Davis and Andre Duncombie, Booker T. Washington will also provide nightmares for the Miners. 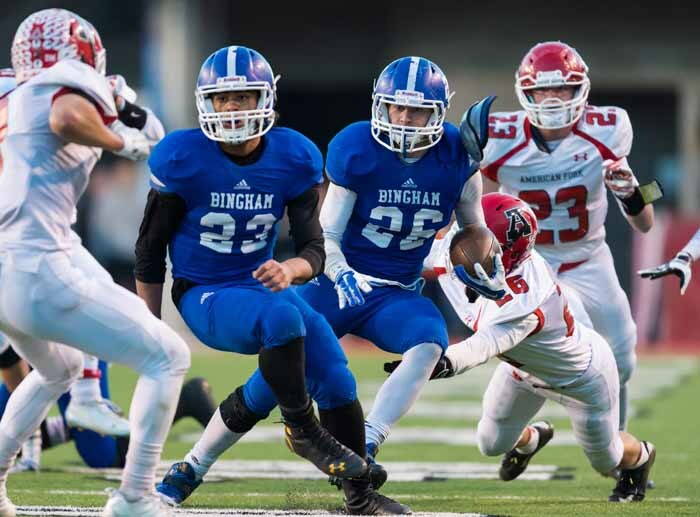 Bingham answers with discipline, defense and special teams. It isn’t that the Miners can’t move the football offensively, but those other two phases are the areas on which Peck leans for stability year in and year out. The Miners almost always win the field position game, as University of Utah-commit kicker Chayden Johnston is one of the best kicker/punter combos anywhere. Unless he is specifically working an angle, kickoffs are guaranteed to be touchbacks, and his punts are almost never returned. And when it comes down to a big field goal attempt, ask Bishop Gorman what the senior can do. He sent the game in Las Vegas to overtime on its final play when he hit one dead-center, with plenty of room to spare, from 47 yards out. Defensively, linebacker Daniel Langi and defensive back Kade Cloward are the leaders, but this is a talent-laden group at all positions. Perhaps the most unheralded stat box stuffer in a long time is outside linebacker Parker Workman, who blows up plays at will. “He’s another one that should have D-I offers,” Peck said in describing Workman. “(No.) 41 is a stud. He’s a man among boys. He’s athletic. He’s quick and he’ll come and just knock the crap out of people. He has no offers. There’s not a better kid as a football player. Coach Peck is extremely high on his secondary. He says that collectively, this may be the most impressive defensive backfield he’s seen in his years of coaching high school football. His overall defensive scheme benefits from the talent in this year’s secondary. When it comes to being noticed by college recruiters, the trio of sophomores on the Miner defensive front may be the most high-profile unit. Before this season, Peck wasn’t sure what he had there, but now everyone knows. “We lost all of our D-linemen and we didn’t know how we were going to be,” Peck said. “Those three just do what they’re told. Langi Tuifua is about 6-3 and he’s probably about 215 right now, but he’s just quick. And Jay Tuefele, he’s that power guy. He’s quick off the ball. He’s probably 6-2 and 280, 285 in the middle, and then Brigham Tuitagaloa, he should get an offer right now to be a long snapper. The Miners allowed just 12 points total in their four state playoff games, played against some of the top offenses in the state. 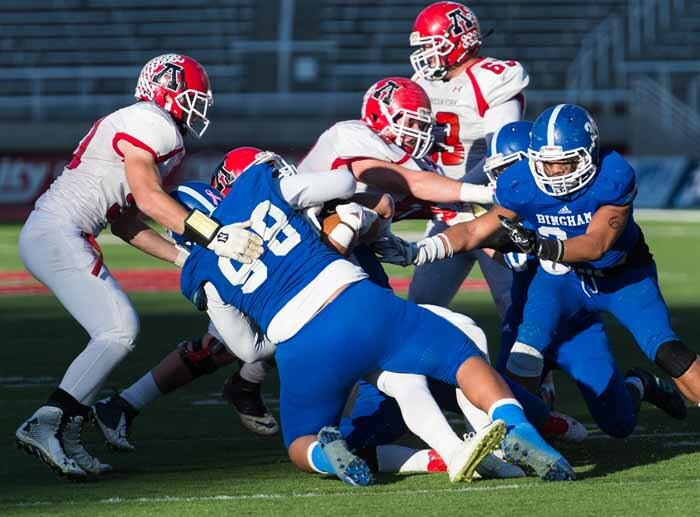 The American Fork team Bingham beat for the Class 5A state title was averaging more than 50 points per game in the postseason, and managed just three in the state finale. If the defense performs as expected, the Miners will have a chance to show what they can do behind a consistent strong offensive line. 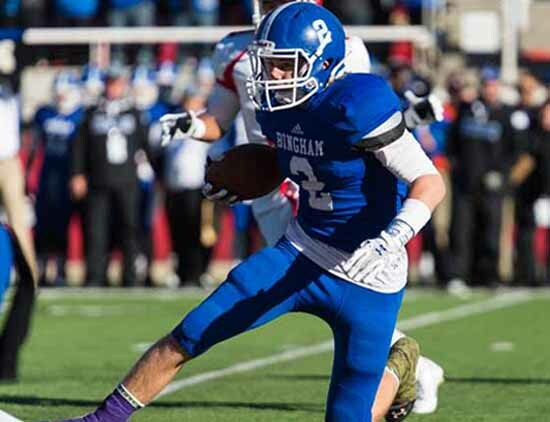 After missing the second half of the state semifinal as well as the championship game after dislocating an elbow, senior quarterback Kyle Gearig is back for this one, and that is a big deal for Bingham. Without him, however, Peck and the coach who will succeed him in running this program, current offensive coordinator John Lambourne, turned to running back Cameron Smith in the Utah state title game and Smith delivered. He carried the ball a record 37 times in that contest and ran for 191 yards. For the season, the 5-11, 185-pound running back rushed for nearly 1,400 yards and 15 touchdowns, and that was while splitting snaps for part of the season with another talented senior back – Aaron Marsh – who went down with a knee injury in the state tournament opener. The return of Gearig gives the Miners a true dual-threat quarterback, and one of the state’s best players, back under center. It remains to be seen how effective he will be in his first action since the injury, but after missing out on the state championship game, this would be a chance for the senior to get one last chance to suit up with his teammates. This is a Bingham team that has lost just once in the past two seasons, and that was the overtime game at Bishop Gorman earlier this year. While this will be his last game on the sidelines for the Miners, Peck is excited for the program he has built and now left in the care of Lambourne. He sees this as a big game for continuing to build on what they have created over the past 15 years. In speaking about the matchup, Peck is impressed with the Tornadoes’ 40-game winning streak.